"What are the barriers of today?" 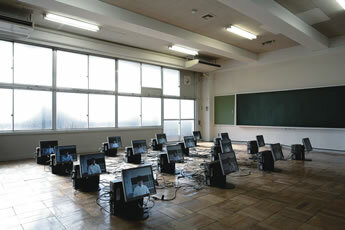 "Cross over Verbal Expression - The Power of Image"
This year, the Sendai Mediatheque celebrates its 10th anniversary. Since its opening in January 2001, the Sendai Mediatheque has been visited by over 3,000 people daily, completely changing the flow of people along Jozenjidori Avenue. In the beginning, plans called for a multifunctional facility comprised of a library, gallery, and visual media center that also offered services to aid the sight and hearing-impaired. This has enabled the facility to operate as a unified "mediatheque" with common goals that have been created in response to the continuously changing information environment and the diverse needs of our users. We have engaged in various activities in the past 10 years and throughout this period, the advancement of technology has affected the way our society works and the relationships between people. To ensure that the Sendai Mediatheque continues to be a facility that is beneficial to all users, both now, and in 20 to 30 years time, it is essential that we have a concrete vision for the Mediatheque. We believe this year, our 10th anniversary of the Mediatheque, is the best time to look back on the past decade. The overreliance on digital communication tools has resulted in increasingly poor interpersonal communication. We would like to start thinking about what each citizen, the community, and media related institutions like Mediatheque, can do to improve person-to-person communication over the next 10 years. "What are the barriers of today ?" Due to the advancement of Information technology, we are able to communicate with almost anyone in the world. On the other hand, we must constantly adapt to the changes in technology. "Rationalistic communication" does not allow people to experience the "silence" that is usually present in a dialogue, and consequently the quality of communication is lowered. Furthermore, "emotionless" information, in addition to globalization and consumption, threaten to erase the individuality of people and culture. Regardless of the advancement of information technology, physical differences in human beings will always exist. However, barriers no longer exist in view of the technological world. 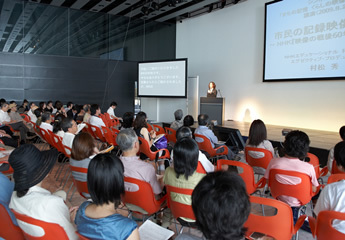 This year, Sendai Mediatheque marks its 10th anniversary at a time when society is dependant on information and technology. We believe it is our mission to express "reality" as art to help open the minds of the next generation. As one of the main anniversary events, prominent artists Toru Koyamada and Hikaru Fujii, will exhibit a large-scale work of art using a space spanning more than 1,000㎡ at the gallery hall on the 6th floor of the Mediatheque. After working as a member of the critically acclaimed performance group named "Dumb Type", Mr.Koyamada moved on to designing and consulting on "shared space" for cafes and other community facilities. Through the use of visual media, Mr. Fujii has been actively involved in expressing his views in relation to current issues facing society, such as the negative influences of capitalism. 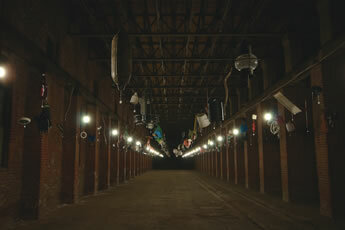 This exhibition is based on the artists’ thoughts about "barriers." They will both display their vast collections which utilize visual media gathered in Sendai. 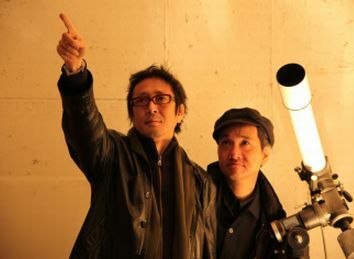 Their aim is to create an alternate "Sendai" using the space on the 6th floor of the Mediatheque. 10:00 - 19:00 (open until 21:00 after December 12) subject to change with Sendai pageant of starlight. The Mediatheque is not just a place partitioned into few rooms, but a shared space where people can visit and openly exchange information and ideas. Visitors that come here expect to learn or discover something new. To effectively utilize the space at the Mediatheque, we will hold exhibitions in the galleries, and display art throughout the Mediatheque. We believe that this will help create more opportunities for people to come into contact with both art and other people, resulting in new discoveries. We will also display art by artists Takayoshi Kitagawa, Chiriro Minato and "Motoi Ishibashi + Daito Manabe," who specialize in space production and expression using media. This program was designed to help people deepen their understanding of art by engaging in expressionist activities with artists. The project features the "Formant Brothers" (a duo, made up of Masahiro Miwa and Nobuyasu Sakonda), world famous for artistic expression through electronic music, and Takayuki Mitsushima, a visually-impaired artist. Using art, they will bring up current issues facing our society. We will compare the "artificial and human voice," "traditional and modern festival," or "visual and sensatory art" to learn about how they differ, and the barriers posed by each. It has been 10 years since the opening of the Sendai Mediatheque. The past decade was a period of information and technology innovation. This transformation has greatly influenced our environment and economy and it has also changed the way culture and knowledge exists in our life. In particular, "communication" problems associated with its change, have frequently been acknowledged. Through this series of talks we will exchange views with guests active in various field, on how difficult or how excessive our communication is. In doing so, we hope to redefine the meaning of "modern communication" while looking ahead to the next decade. The last decade of the 20th Century was considered "a century of image," as all media, ranging from film, TV, the internet and portable media, drastically changed in various ways. People today rely on these tools to communicate, even more so than verbal communication. 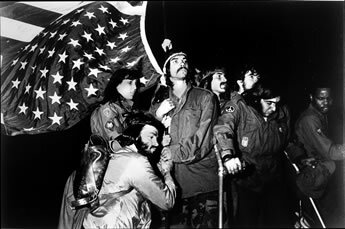 Through talks with guests and unique films, the exhibition screening will introduce how "images" send a message to people through art work. Visitors will learn perspectives related to present day expression through images. copyright © 2010-2011 sendai mediatheque all rights reserved.